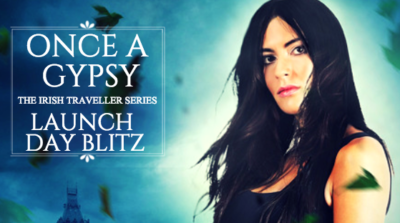 If you’re looking for a great paranormal romance, check out Once A Gypsy by Danica Winters! This is the first in her new series! This series from Danica Winters is going to be very intriguing! Once A Gypsy kicks it all off, and you can find all the details below. Get addicted to this new series from right out of the gate! Helena has never fit in with her Irish traveller family. Aside from her opposition to marriage and determination to attend university, Helena has the gift of the Forshaw, the ability to see the future. Graham is the groundskeeper at a manor in Adare, Ireland. 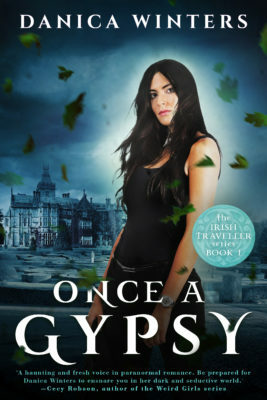 Though the estate appears idyllic, it holds dark secrets, and despite his own supernatural gifts, Graham can’t solve Adare Manor’s problems by himself. Desperate for help, Graham seeks out a last resort: Helena, whose skills are far greater than she knows. When he promises to teach her to control her powers, Helena resists, afraid both of the damage her abilities might do and her increasing attraction to the handsome groundskeeper. Her entire way of life is at risk: any involvement, especially romantic, with non-gypsies like Graham is forbidden. But fate has other plans for Helena’s clairvoyance — and her relationship with Graham. Danica Winters is a bestselling author who has won multiple awards for writing books that grip readers with their ability to drive emotion through suspense and occasionally a touch of magic. Most recently, Danica was the winner of the Paranormal Romance Guild’s Paranormal Romantic Suspense Book of the Year Award and Chanticleer Media’s Paranormal Book of the Year for her novel Montana Mustangs. She is currently the finalist for the Chatelaine Award. When she’s not working, she can be found in the wilds of Montana testing her patience while she tries to understand the allure of various crafts (quilting, pottery, and painting are not her thing). She always believes the cup is neither half full nor half empty, but it better be filled with wine. Visit her online at www.danicawinters.net.